It will surely come as no surprise to Tottenham if they receive a phone call from Barcelona in January. If anything, it will be a blessing if it’s just the one. Stories of the Blaugrana’s interest in Christian Eriksen are no longer news, with the Catalans having sent scouts to watch him in the recent Champions League games against Real Madrid. There have also been links to Harry Kane and Dele Alli, but this is the rumour which is gathering pace. If Don Balon’s latest reports are true, then it seems the club have now set their heart on the Danish international, who they now rate more highly than even long-term target Philippe Coutinho. 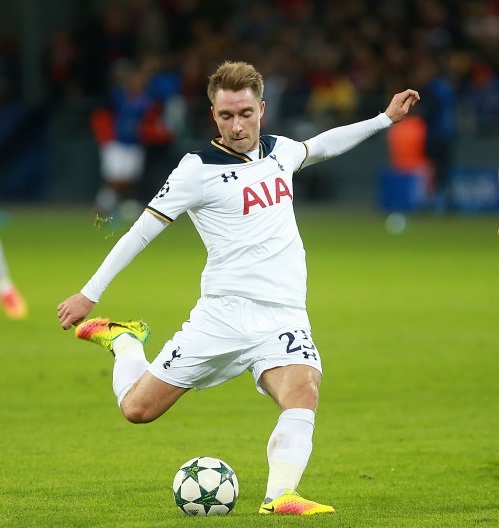 Mesut Ozil and Alli are other alternatives, but it seems Eriksen is now first choice at the Nou Camp. They believe he has still not reached his full potential and think that will happen when he joins a Barca attack which is still searching for Neymar’s successor. The 25-year-old has scored four goals for Spurs this season – including one against Real – and shone in his country’s World Cup qualifier against the Republic of Ireland, where he scored a hat-trick. A nightmare scenario for Tottenham, depending on how the playmaker responds – Barca’s interest could well prove whether he views the north Londoners as a stepping stone to bigger things.